And to all a good knight! The Knight's Armory is built in to a handy storage box, letting you open up for business and stow everything inside when business hours are over. 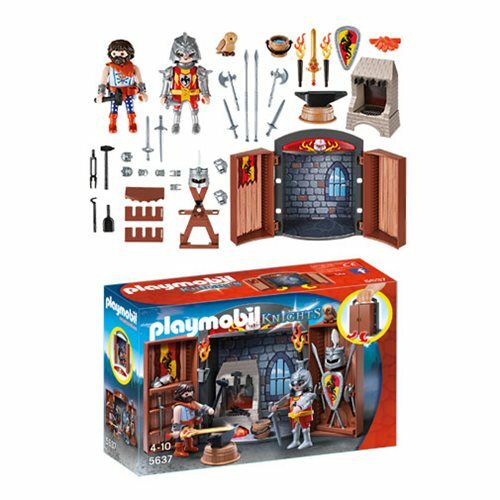 You'll get two figures with helmets, anvils, shields, axes, fireplaces, and even a bucket. An adorable owl watches over the proceedings because if owls don't learn about the blacksmith trade from you, they might have to pick it up on the street! Ages 4 and up.